Sony FE 24-105mm f/4 G OSS Lens now In Stock at B&H, Tamron 28-75 f/2.8 FE In Stock Soon at Adorama ! The Sony FE 24-105mm f/4 G OSS Lens now in stock and shipping at B&H Photo Video, this lens is a high demand FE lens, always in short supply. Also the new Tamron FE 28-75mm f/2.8 Di III RXD Lens is in stock soon at Adorama. 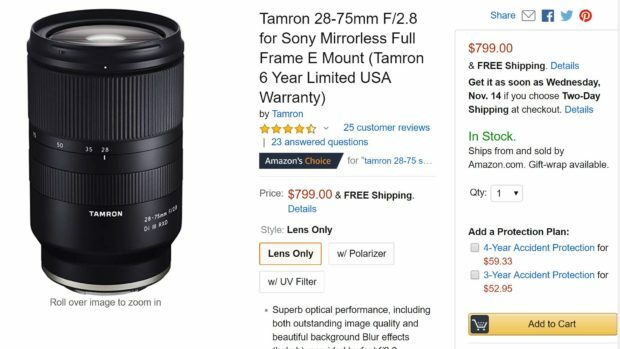 Author adminPosted on October 7, 2018 October 7, 2018 Categories Sony E-mount Lenses, Tamron FE LensTags In Stock, Sony FE 24-105mm f/4 G OSS Lens, Tamron 28-75mm f/2.8 Di III RXD Lens, Tamron 28-75mm f/2.8 FE Lens In Stock TrackerLeave a comment on Sony FE 24-105mm f/4 G OSS Lens now In Stock at B&H, Tamron 28-75 f/2.8 FE In Stock Soon at Adorama ! 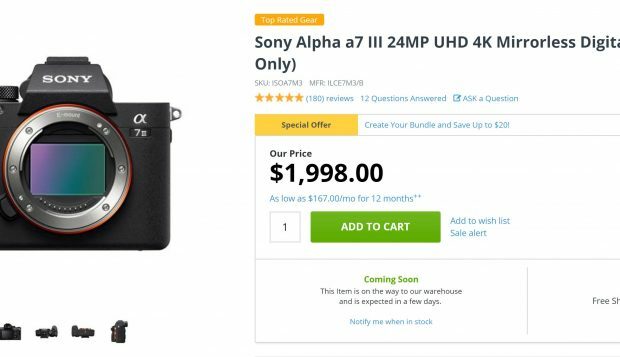 Update: Sony a7 III now In Stock at Focus Camera !